This spring we are thrilled to announce a brand new signed book subscription service to Harvard Book Store customers. 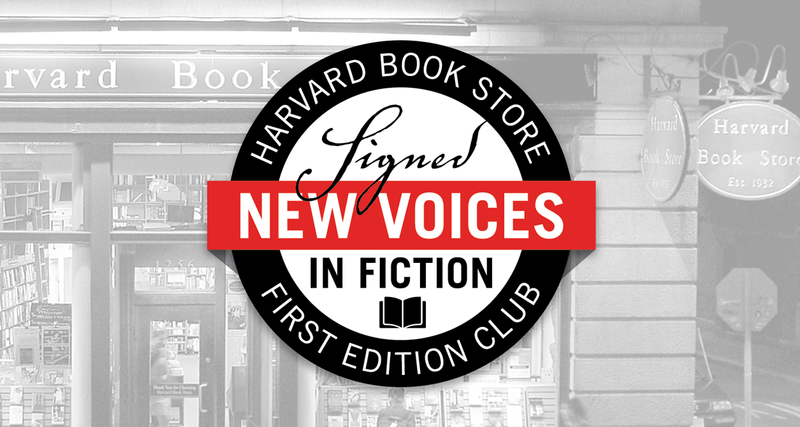 Harvard Book Store’s New Voices in Fiction Series, co-sponsored by GrubStreet, has brought dozens of emerging writers to Harvard Square, including novelists Lisa Halliday, Elif Batuman, Brit Bennett, and Yaa Gyasi. In the last year we've hosted Tommy Orange (There There), Nana Kwame Adjei-Brenyah (Friday Black), and Jamel Brinkley (A Lucky Man) for their remarkable debuts. As we have done for over a decade with our flagship Signed First Edition Club service, this additional club will offer signed first printings of four debut novels a year—curated by our staff—to bring you some of the finest and most important debut novels of the season, with an eye toward literary merit and collectibility. This service is the perfect gift for anyone who wants to reads more novels but feels overwhelmed (in a good way) when they walk up to the new fiction table, or an ideal pick for bibliophiles who want the latest in boundary-pushing, cutting-edge work. Our promise is this: our selections will never be obvious, and the novels will never be typical, but you’ll be thrilled by every one of them. With that, we're proud to announce our inaugural pick: Isabella Hammad’s The Parisian, a sweeping, Jamesian book both titanic and profound. Hammad first came to our attention when she won the Paris Review’s 2018 Plimpton Prize for Fiction for her story “Mr. Can’aan.” The Parisian has already received high praise from some of our favorite authors, including Jonathan Safran Foer, Nathan Englander, and Zadie Smith, who calls Hammad’s book “a sublime reading experience” in the tradition of Flaubert and Stendhal. We’ve also lined up our summer selection: On Earth We’re Briefly Gorgeous by poet Ocean Vuong (out in June). His debut book of poetry, Night Sky with Exit Wounds, was the winner of the Whiting Award and the T.S. Eliot Prize. On Earth We’re Briefly Gorgeous marks his first foray into fiction. We look forward to introducing these writers to your bookshelf, and there's much more to come! Learn more about the upcoming selections and find an FAQ about the club here. Membership spots are limited; sign up today! Four times a year, Harvard Book Store offers Signed New Voices in Fiction Club members a signed first printing of a newly published debut novel, selected with an eye toward literary merit and potential collectibility. The Signed New Voices in Fiction First Edition Club brings you some of the finest and most important debut novels of the season—just as our flagship Signed First Edition Club has been doing across genres for years. Sign up or give a gift membership! Spaces are limited, and there will be a wait list when we reach capacity on membership for a given season. Wait listers will be notified when space becomes available; if a spot is not available for the current selection, your membership will be activated for the following selection. 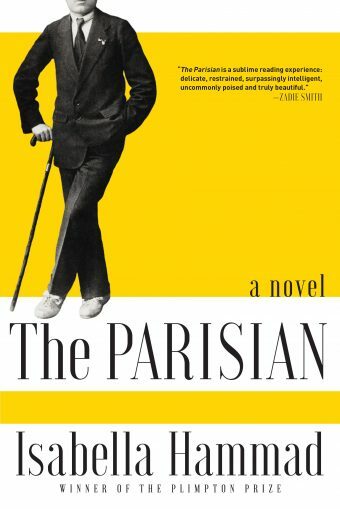 "Isabella Hammad’s The Parisian is a sweeping, Jamesian book both titanic and profound. As I carried this nearly 600-page novel with me to work, to the park, to the subway, to my favorite cafes, I was in awe of Hammad’s ability to transport, the elegance and unpretentiousness of her prose, and my intense concern for her characters." How does this new club compare with the pre-existing Signed First Edition Club? Our popular Signed First Edition Club has been delivering important works of literature, memoir, and history to its members for over a decade—including debut works by emerging writers. This new, additional club will focus on debut novels from writers who have caught the attention of our well-read staff and the literary world. While the flagship club is monthly, the Signed New Voices in Fiction Club will be quarterly in its first year, with a new selection each season. All selections will be hardcover first printings of first novels, noted by critics and our staff. Selections in one club will not be duplicated in the other, and we will continue to consider and select debut fiction for the flagship club from time to time. Once a season (four times a year), members receive a debut novel of recent publication. A collection of signed first editions will enhance any library, and many signed first editions appreciate in value. Also, your membership supports Harvard Book Store, a landmark literary institution, and helps ensure that the store will exist—and continue to host its award-winning author event series—for years to come. Harvard Book Store’s selections represent the forefront of debut fiction and reflect the authors hosted by the store’s award-winning event series. Selections are personally chosen by our discerning staff of readers. The books in this program are guaranteed first editions, personally signed by the author. Each book arrives in pristine condition with its jacket in a transparent protective wrapping to extend the life of the book. Also, this is a brand new club and we have some fun stuff in store for members. Stay tuned! Membership is free. All you pay is the publisher's list price on the book ($26 - $30 on average per month) plus a flat shipping and handling charge. Who is the club for? Can I give a membership as a gift? This service is perfect for anyone who has been trying to read more novels or for the bibliophile who wants the latest in boundary-pushing, cutting-edge fiction. You can choose to give a gift membership either for one year or indefinitely, and you may cancel the membership at any time. What is a signed first edition? Why is it valuable? A first edition is the original printing of a book. First editions are distinguished from subsequent printings, as they represent the closest edition in time and intent to the author's original work. A signed first edition is a unique addition to any library, and to dealers and collectors, a signed first edition is the most desirable—and valuable—edition. Yes. In order to efficiently manage this unique program, Harvard Book Store requires that all members provide a credit card number upon sign-up. What if I don't want a certain selection? May I return a selection? At this time, members may not decline a selection. Signed books make great gifts! All selections are non-refundable and non-returnable. Yes. As signed first editions are difficult to procure in large quantities, Harvard Book Store must limit the number of members. If the member limit is exceeded, a wait list will be started. I have a question that isn't answered here. Whom do I ask? Ask a bookseller in the store, call us at (617) 497-1156 ext. 5, or write to signedfirst@harvard.com.